This article is brought to you by the Uloop Housing search service. Ready to make the move off campus? Search through the Uloop housing listings to find your next apartment, condo, town home, or house for rent. 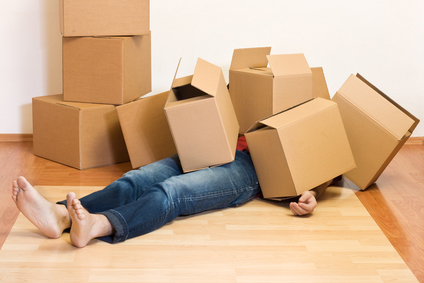 Moving out of an apartment, no matter what size, is a big deal and can be overwhelming. There’s so much to do before you leave to wherever you’re relocating to and it’s easy to forget things you should’ve done before moving day arrives. Here is the ultimate apartment moving checklist to help you get out of your apartment and to your destination with peace of mind. Pick up boxes and other packing paraphernalia. 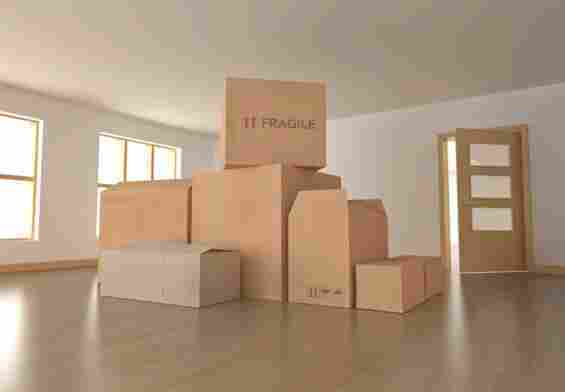 You’ll want to start keeping an eye out and asking around for boxes so when you start packing up your stuff you’ll have enough of them to put your belongings into. Stop by local liquor and grocery stores and ask if they have discarded boxes from various products; egg boxes in particular are good to use for packing since they’re secure, have handles, and are decently sized. Besides boxes, you’ll need to also obtain bubble wrap, newspapers and other paper to use for padding, duct tape and packing tape, and black permanent markers to label your boxes. Notify your landlord. You should inform your landlord that you intend to move at least 1-2 months before you plan to move out, though a more specific timeline may depend on your lease agreement. Review your lease to figure out exactly what you need to do and when before you move out of your current apartment. Figure out transportation. Unless you plan to cram everything into the back of your vehicle, you’ll need to figure out a moving van or truck of some sort. Reserving one of these should be done weeks before you’re set to move out and you should figure out how much it’ll cost, what time the movers will come, and other important details. Throw out crap you don’t need. Before you start packing, go through your stuff and get rid of the things you don’t need, don’t use, and don’t want to either throw away or donate. While it may take some time, in the long run it helps you decrease the amount of stuff you’re using and boxes you’ll need as well as helping you declutter before you relocate. Change your address and notify the post office. Before moving, you’ll need to notify your bank, credit card company, insurance provider, and the post office that you’re moving and give them your new address so your old apartment is no longer listed as your residence. You’ll also want to make sure any subscriptions, newspapers, and other mailings coming to your apartment are updated to have your new address. Keep important papers and personal items handy. The last thing you need to worry about while moving is trying to find important papers and other needed belongings that you didn’t keep out and handy. Make sure any paperwork about your movers, where you’re going, your current lease, bank statement, medical records, etc., are all put into an accessible box or place and labeled so you can easily get to them when you need them. Set up plans to switch your utilities. Call your utility providers and make arrangements with them to turn off the utilities at your old apartment and also make arrangements to have the utilities turned on wherever you’re relocating to when you move in. Call the electric, gas, water, and cable companies to inform them of your move and set up plans to switch over your utilities. Pack up your stuff and label your boxes. Don’t wait until the last minute to start packing because it takes longer than you’d think. Keep items from the same room together and make sure to label. When you move into your new place, it’ll be really annoying for you to have to schlep boxes all over because they weren’t properly labeled so they ended up in the wrong room, especially if they’re heavy. Try not to make any of the boxes over 30 pounds and once you’ve packed a box, keep it out of the way and stack the heaviest one on the bottom and lighter boxes on top of it. Make sure to wrap breakable items in newspaper or bubble wrap, and make a note on boxes that have fragile things inside. Also make a box full of stuff you’ll need right away at your new place, like toilet paper, a small towel or two, your chargers, clean sheets, etc. Clean up your old place and do a final run through. The day before you move, clean out and defrost your fridge and freezer, unplug your electronics, and pack up any stuff you don’t need to have out until the last minute. Pack your suitcase or bag that you’ll keep with you when you move and make sure all your important papers are where they should be. Double check the box you’ll need right away to make sure you haven’t forgotten anything. On moving day, do one last sweep to make sure you don’t leave anything behind, turn off all the lights, and give your keys back to your landlord. So when you’re preparing to move out of your place, refer to this apartment moving checklist to help you make the transition to your new home a smoother, less stressful experience. And remember, label everything. Make your next move easy by finding a place to live near campus using the Uloop Housing search service full of students needing Roommates and Sublets or people ready to rent you a great Apartment or House. I am currently serving as the Director/Managing Editor for Uloop News. I've been part of the Uloop family since 2013 and in my current role, I recruit writers, edit articles, manage interns, and lead our National Team, among other duties. When I'm not writing or editing, I love being outside, reading, and photography! I have a Bachelor's degree in English with a double-minor in Sociology and Criminology & Criminal Justice from The Ohio State University. If you have questions or just want to chat, don't hesitate to reach out! Email me at elana@uloop.com.